Turning you into a superhero at work. Over the last 4 years, Weekdone has helped thousands of teams to refocus, be proud of their accomplishments, and achieve their goals. More than 2.3 million items have been posted in Weekdone. Getting great work done requires tools that offer support and coaching, and they should never get in the way. To do that even better we're introducing the brand new, clean, and simple Weekdone 3, which puts you in the driver's seat. Are you ready to discover your inner superpowers at work? Try Weekdone 3 for free. Weekdone 3 lets you take pride in getting your daily work done. More and more people are using Weekdone to set their personal goals and to journal their progress. Weekdone 3 makes that even easier. Our main goal in designing Weekdone 3 was to make it easier for use in your daily interactions. A more modern design, greater focus on content, cleaner lines, and simplified navigation means you can get things done faster. You wanted it, we made it happen! You are now able to add personal items visible only to you, which lets you use Weekdone as a lightweight task manager. Just click the eye icon to make an item private when adding it. You can make it public later on. It's great for jotting down notes and ideas. Our new reward cards and personal accomplishments dashboard help you feel great about what you've achieved each week. They also guide you in being even better in your work. All your weekly items should contribute to your long-term objectives. The new prominent link icon now shows as the first action for each item. It's now quick and easy to switch between your two main sections - weekly updates and quarterly objectives - from the top header. 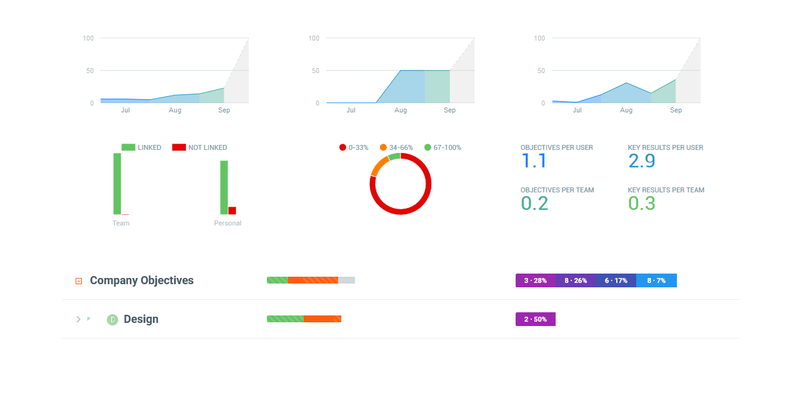 You can now use the sidebar to switch between your own items, the full Company Report, any teams, departments ,and other people. New social interaction badges let you put a face to an action by quickly seeing who liked, commented on, or assigned an item. Make sure you've uploaded your picture under your profile settings. 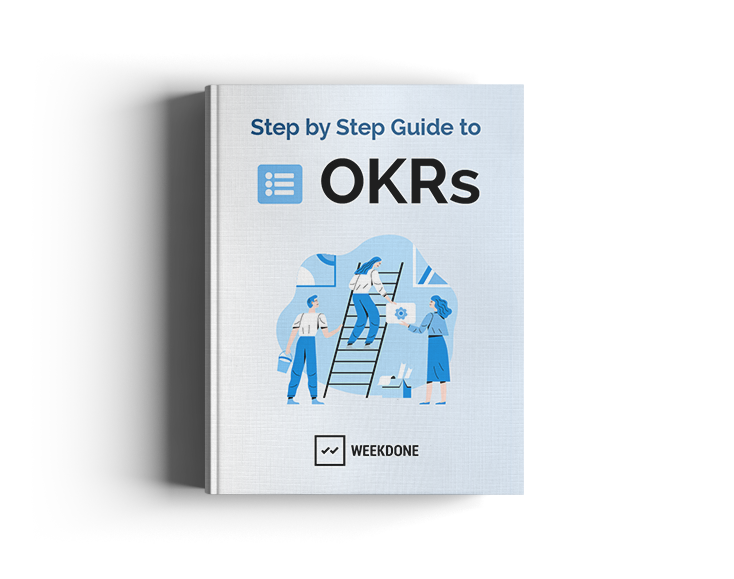 Get regular updates of OKR progress via beautiful e-mail reports. Configure the reports under Personal Settings - Notifications. Your old data will stay intact. You can also switch back to an older version at any time.